The U.S. economy made impressive gains in the 20th century, but this progress makes it easy to forget a harsh reality: Americans were also the victims of disastrous government policies that cost trillions of dollars in wasted resources, created mass unemployment, and kept millions in poverty who otherwise could have participated in the nation's growing prosperity. Government decision-makers, regardless of political party, have tended to favor short-run benefits for friends while imposing costs on current and later generations. The ten worst blunders divide equally among Democrats and Republicans. The Terrible 10 also provides key lessons to help us avoid repeating such policy mistakes in the future. 3. The Hawley-Smoot Act: Holy Smoke, We Started a Trade War! 4. Social Security: Americas Greatest Ponzi Scheme? Epilogue: Can Government Governance Be Improved? Without a doubt, the worst economic mistake of the past one hundred years was the Federal Reserves handling of the Great Depression. The U.S. economy was hit so hard in the early 1930s that even if the nations central bank deserves only a modest portion of the blame (and thats a big if ), it would still be responsible for trillions of dollars in lost output. Consider a thought experiment: Suppose the Fed deserves blame only for the portion of unemployment above 10 percent in the years 1931 to 1935. That amount of joblessness alone caused an estimated 23 percent decline in production and incomea loss of $15.5 trillion over five years! The Hawley-Smoot Act of 1930 imposed an average tariff rate of 53 percent and thereby hiked up consumer prices, ignited a retaliatory trade war, and intensified the Great Depression, making this protectionist legislation among the costliest economic blunders in U.S. history. Due partly to the trade war sparked by Hawley-Smoot, by 1933 world trade had fallen 67 percent. The trade barriers also helped set the stage for World War II. The conversion of Social Security from a full service retirement program to a pay-asyou- go system in 1939 is perhaps the worst of several bad decisions associated with the plan. This blunder permitted the government to postpone increasing taxes to pay for the program and enabled several increases in unfunded benefits. From 1960 to 2011 the programs outlays as a share of GDP rose from 2.4 percent to 4.8 percent, and theyre expected to reach 6 percent around 2030. By then the ratio of workers to retireeswhich has hovered around 3.2 since the early 1970sis expected to have fallen 35 percent to around 2.1. This mismatch will require future tax hikes, cuts in benefits, and/or more government borrowing to cover the shortfall. Worst of all is Social Securitys damaging effect on savings and investment: by weakening peoples incentives to save for retirement the program has reduced the amount of funds available to borrowers for private investment and wealth creation and has thereby hampered economic growth. As hard as it may be to imagine, Medicare presents an even worse threat to the nations fiscal health. The U.S. economy made impressive gains in the 20th century, but this progress sometimes makes it easy to forget a harsh reality: Americans were also the victims of disastrous government policies that wasted resources, created mass unemployment, and kept millions of people in poverty who otherwise would have participated in the nations growing prosperity. A strong case can even be made that the success of the U.S. economy cannot be fully understood unless the story of these abysmal policy failures is told. 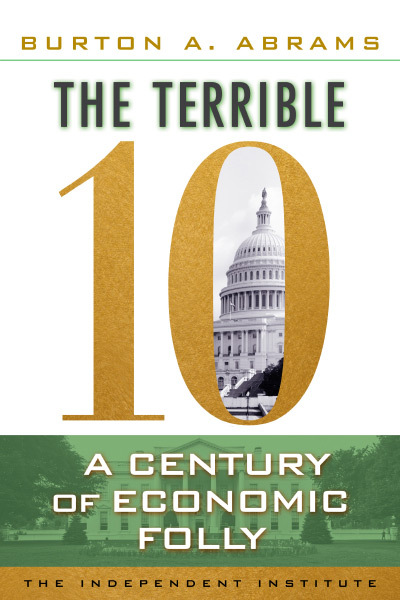 The Terrible 10: A Century of Economic Folly, by University of Delaware economics professor Burton A. Abrams, tells this story. The Terrible 10 takes both political parties to task to show the causes and consequences of their worst policy mistakes. Leading the list of causes is that government decisionmakers, regardless of political party, tend to favor short-run benefits for friendsespecially major campaign contributors and special-interest groupswhile imposing costs on the rest of us or imposing the costs on later generations. The ten worst blunders therefore divide equally among Democrats and Republicans. The Terrible 10 provides more than an identification of the worst policies. It provides lessons to help avoid repeating such blunders and for developing policies that might extricate us from the lingering costs that those wasteful policies spawned. The book begins with an introduction laying out key factors that have motivated politicians and bureaucrats to enact destructive laws and edicts. With those preliminaries out of the way, the book proceeds more or less chronologically, with a chapter-bychapter look at the past centurys worst economic blunders. 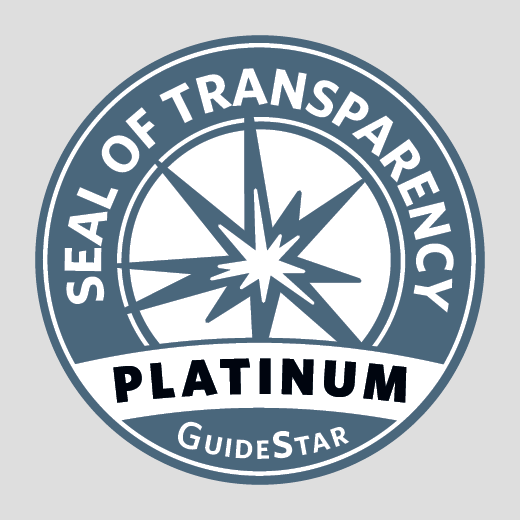 The book concludes by offering guidelines to improve government decision-making. Ratified in 1919, the 18th Amendment reflected the desire of a minority of Americans to impose their views of morality and the proper lifestyle on the majority. The effort failed miserably. In hindsight, most Americansand especially those who lived through itprobably view Prohibition as a bizarre, foolish, and even dangerous experiment: a massive, precedent-setting governmental intervention in personal freedom, a waste of our national resources, a loss of an important source of tax revenues, a boon to criminals, a corrupting influence on public officials, and an encouragement to otherwise law-abiding citizens to disregard and disrespect the law. Prohibition produced many more costs than benefits and clearly belongs among the ranks of the worst economic interventions of the last 100 years. The War on Drugs has had the same sort of unintended and undesirable consequences that Prohibition had, and it has failed for exactly the same reason: government officials cannot stop people from engaging in mutually agreeable exchanges. They may reduce the extent of such exchanges with harsh penalties, but they wont stop them. Efforts to stop such exchanges will spawn many unintended and undesirable outcomes. The Federal Reserve Act of 1913 was created to resolve a problem: frequent banking panics, or widespread runs on banks, that plagued the U.S. economy. The Act created a central bankthe Federal Reserve Systemwhich was expected to eliminate them. But the biggest banking panic in U.S. history was in the making, and the Fed did little or nothing to prevent it. What would have been a recession was turned into the Great Depression. The Feds failure to act decisively was one of the most costly economic policy errors to have been made in the past 100 years. The pay-as-you-go government program originally was designed to have a full reserve, but members of Congress couldnt keep their fingers out of the cookie jar. The result is the second largest Ponzi-type scheme sponsored by the U.S. government (Medicare is the biggest). Social Security has contributed to de-capitalizing the economy by substituting government promises of retirement income obtained through taxation in lieu of income that would have been obtained from private-sector savings. The Social Security program is a non-transparent welfare program that redistributes enormous amounts of wealth, often in ways that most Americans would find undesirable. The 16th Amendment to the Constitution, passed in 1913, made the income tax a permanent fixture of the U.S. tax system. The first personal income tax was quite simple: three pages of forms and one page of instructions. Income taxes today are excessively complicated, non-transparent, and costly. There are now over 500 separate tax forms and over 7,000 pages of taxpreparation instructions. In 2009, the IRS estimated there were between 900,000 and 1.2 million paid tax-preparers to help hapless taxpayers through the morass of tax rules. Worse yet, the income tax hides over a trillion dollars in hidden subsides that distort economic decision-making and produce economic waste. Reforming our wasteful tax system remains a difficult-toachieve goal as entrenched special interests fight hard to resist change. The pay-as-you-go health insurance program for retirees, unlike Social Security, was not designed to have a full reserve. In fact, Bess and Harry Truman received the first Medicare cards despite never paying any taxes into the program. Today, the program is the single worst Ponzi-type scheme in the governments arsenal. It is $20 trillion to $30 trillion dollars in the red and is in far worse shape than Social Security. This chapter sheds light on the extent of the transfers and the impending crisis in financing the program. The Nixon tapes, secret recordings made in the White House, reveal how Richard Nixon pressured Federal Reserve Chairman Arthur Burns to overheat the U.S. economy prior to Nixons reelection bid. Acting against his better judgment, Burns caved in to Nixons lobbying and set the stage for a decade of inflation that required three recessions to extinguish. The tapes reveal how the Feds independence can be compromised for political gain and why the power of the Feds printing press must be kept out of the reach of politicians. The failure to take into account pollution costs in the pricing of various goods leads to the production of goods that are worth less than their costs. Economists generally agree that some type of environmental regulation is needed to correct market failures arising from producers and consumers neglecting the costs of pollution. And often theyve assumed that once a market failure was identified, the government would take the appropriate corrective actions. When theyve investigated regulatory behavior, however, theyve discovered that government regulations all too often failed to correct market failures and all too often created market failures of their own. Wasteful environmental regulations are the rule, not the exception. And usually they benefit special-interest groups while harming the society at large. This chapter highlights the problem with two case studies: a proposed clean coal power plant for northern Minnesota and the federal ethanol mandate. The busting of the real estate bubble beginning in 2006 sent the U.S. economy into a tailspin. This chapter reveals the governments role in fostering the bubble. The Great Real Estate Bubble was nourished by paternalistic policies, fostered by both Democrats and Republicans, to engineer a better society by greatly expanding home ownership, especially to the young and lower income groups. In contrast to governments role in Prohibition, government became a pusher during the housing bubble. The governments policy drugs hooked millions of lower-income Americans on homeownership, indebtedness they could ill afford, and eventual bankruptcy. The economic damage done to the young and less fortunate added another cruel dimension to the economic catastrophe. The rapid and unprecedented peacetime run-up in the nations public debt, begun at the turn of the 21st century, threatens to sink the U.S. economy. Unlike the situation following World War II, paying down this debt will be much more difficult due to expected increased outlays for entitlements as the baby-boomers begin to retire. At the very least, the burden of the public debt will slow economic growth and raise the normal unemployment rate. This chapter explains why irresponsible deficit spending is one of the terrible ten. Can Government Governance Be Improved? The final chapter reviews the causes of bad policies and makes suggestions for improving the institutional setting in which policymaking takes place. The task of improving government governance is possible but daunting.